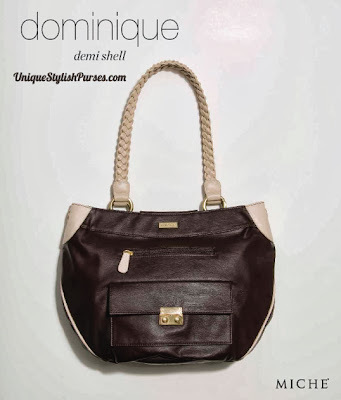 Dominique Miche Demi Shell features timeless styling and go-anywhere colors. Perfectly matches our Braided Handles (cream). This shell requires the Miche Demi Base Bag - sold separately.